One of the rights of the birth mother is to create her birth plan, which will be used to share her wishes and preferences about labor and delivery with the hospital staff. Adoption Choices of Kansas & Missouri is very supportive in helping a birth mother create her ideal birth plan. In an open adoption, the adoptive parents might be invited to share their wishes for the birth process as well, such as whether they prefer certain types of pain medication (or no medication) to be used during delivery. Ultimately, however, decisions affecting pregnancy and birth will be made by the birth mother, for it is ultimately her body and birth experience. The birth mother is considered the parent of the child during the birth process and therefore has the right and the responsibility to make all decisions for herself and her child. The birth mother also has the right to keep all hospital items, such as bracelets worn by herself and the baby, the bassinet announcement card from the nursery, first pictures, etc. She can choose to give these items to the adoptive parents if she desires, but this is not required as part of the adoption process. The time in the hospital is also one where the birth mother must consider whether she truly wishes to go through with and complete the adoption process or whether she has changed her mind. Again, until she signs the formal papers, regardless of the agreement up to that point with the adoptive parents, she is still the parent and has the right to change her mind. Adoption Choices will support any decision you make and provide the proper counseling and information for all of your choices. If the birth mother decides that she wants to proceed with the adoption, the next step is saying goodbye to her child. This can be done in many ways depending on the type of adoption and the wishes of those involved. In a closed or semi-open adoption, it is possible that the birth mother will spend no time with the baby in the hospital. However, in an open adoption, she will likely have spent time caring for and being with the baby and therefore, will need to officially say goodbye. 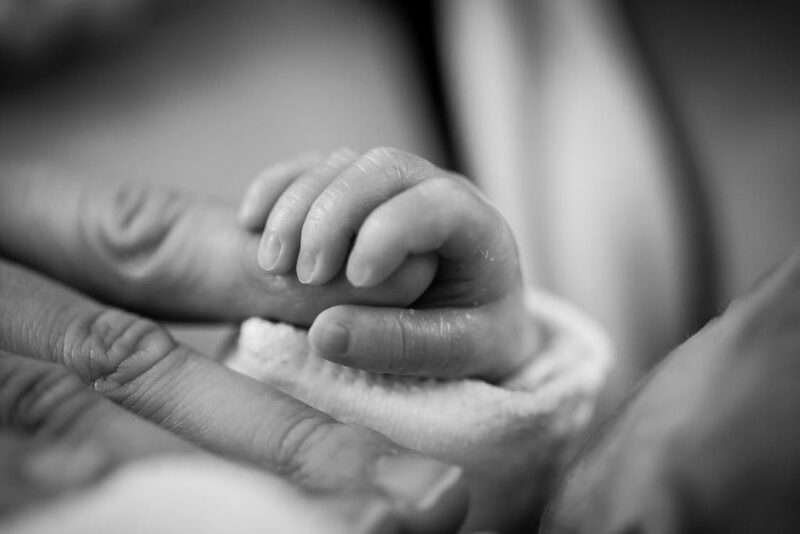 In some cases, the birth mother may say goodbye while still in the hospital or upon discharge, while in other cases, she may actually take the child home for a few days or weeks leading up to formally signing the petition for adoption papers. The latter course can be undertaken as an added period during which she may continue contemplating her decision to adopt while experiencing the reality of taking care of a newborn. Some birth mothers in an open adoption situation choose to do a placement ceremony where family and friends are invited to witness the handing over of the child to the new adoptive parents and the uniting of the two families. Some birth mothers may videotape their goodbye in order to have a record (for themselves or the adoptive parents) of the special time with the baby. Finally, some birth mothers prefer a quiet goodbye that is spent with the baby alone before a third party removes the baby and gives him/her to the adoptive family. Choice of the manner in which to say goodbye is definitely a personal decision that each birth mother needs to make based on her comfort and wishes regarding the official release of her parental rights and responsibilities. In open adoptions, a post-adoption contact agreement will be made before the baby is born. This agreement, that the birth mother makes with the adoptive parents, describes the form the relationship between the new adoptive family and birth mother will take, spelling out the varieties of contact that may happen between the birth mother, adoptive parents and the child. In addition to governing the frequency and type of contact, this agreement will typically also address whether any other family members of the birth mother may have contact with the child, such as the biological grandparents or extended family. The post-adoption contact agreement may be modified in the future if both parties agree, or as circumstances change (for example, if the child is told he/she is adopted and then desires more contact with the birthmother or family). If you would like more information regarding how the birth or placement process works in adoption, please contact one our of adoption specialists at Adoption Choices of Kansas & Missouri. Information available through these links is the sole property of the companies and organizations listed therein. Adoption Choices of Kansas & Missouri provides this information as a courtesy and is in no way responsible for its content or accuracy.